Packing for a new place often brings to your attention long forgotten projects. 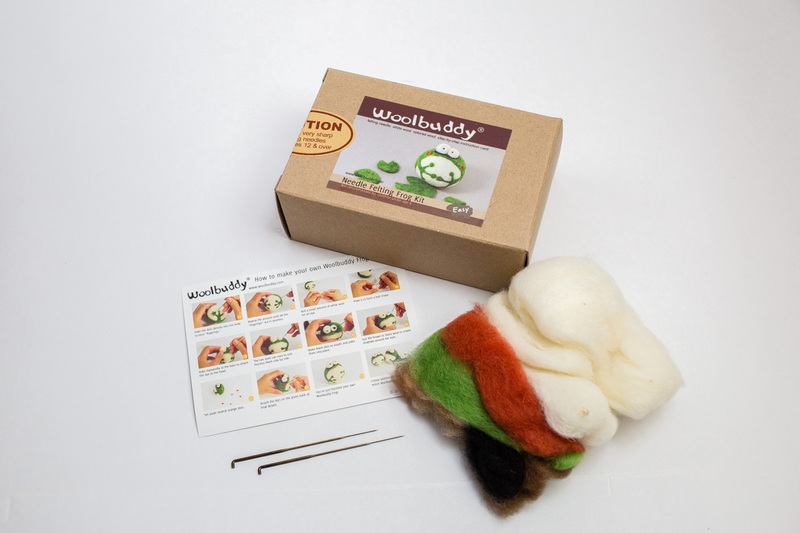 More than a few years ago I bought a Woolbuddy kit as a way to learn needle felting. Ever since it’s been sitting in a closet alongside other neglected, but well-intended, projects. With all my other projects on hold until the move is complete, I finally paid this little fella attention. 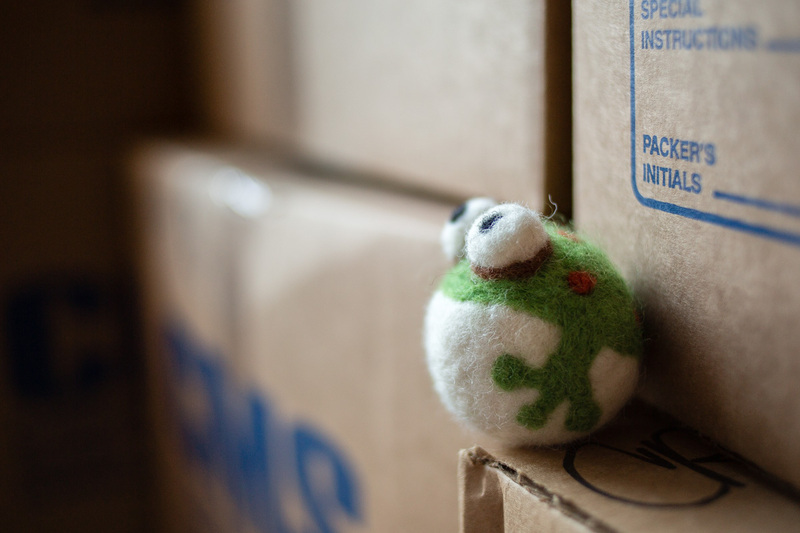 The kit had easy-to-follow instructions making it easy, and enjoyable, to complete Stanley the Frog in a little under an hour while simultaneously binging on documentaries. 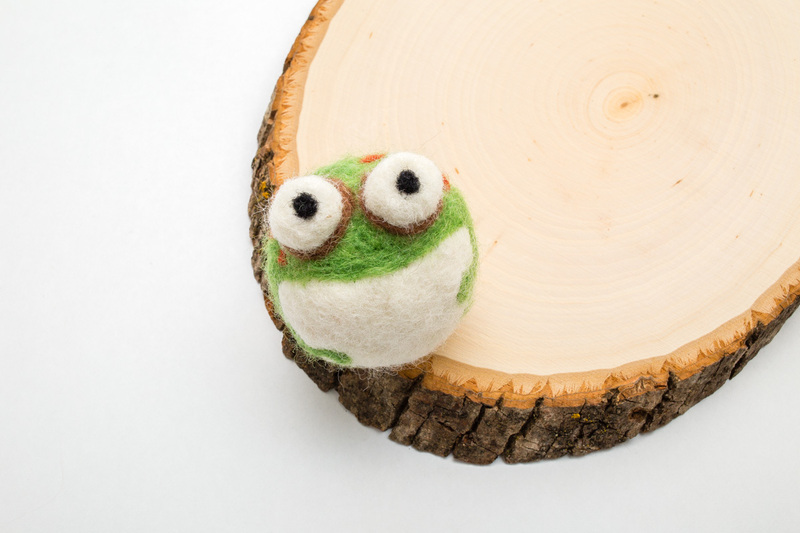 The only snag I hit was breaking both felting needles that came with the kit. Fortunately, I had purchased another felting needle separately for yet another forgotten felting project—even more fortuitous that I hadn’t already packed it! 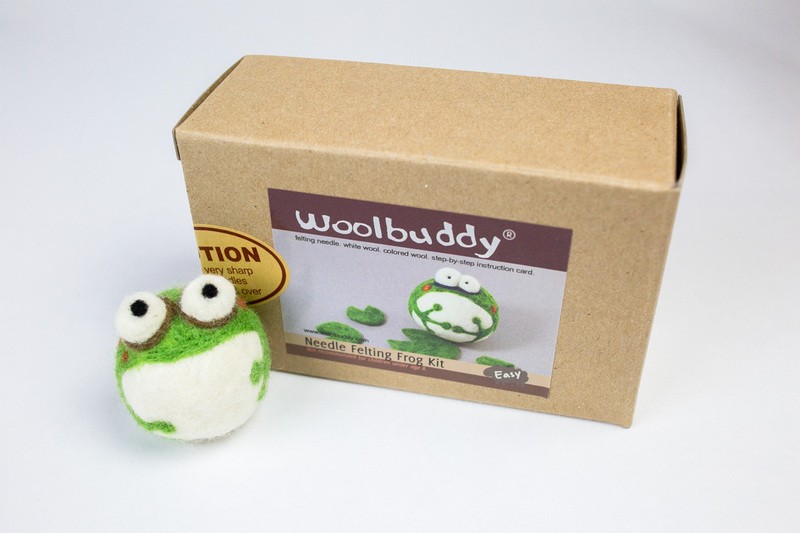 Since I bought the kit, they’ve come out with a book, Woolbuddies: 20 Irresistibly Simple Needle Felting Projects, as well as several other fun critters including a sea turtle, elephant, and anglerfish. The best part of finally completing the kit is my guy wants to make one of his own – either the sheep or rabbit! Win for team crafty! What project or kit could you fish out from the depths of your closet or garage? The kit parts and outcome. Stanley pondering the sea of boxes that has consumed our living room.